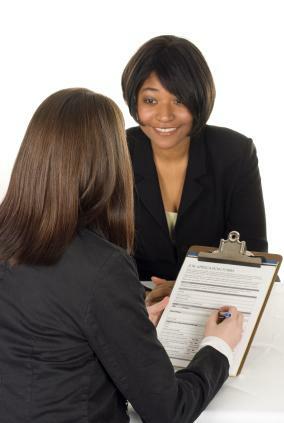 If you are searching for job interview tips, you have certainly come to the right place. The LoveToKnow Jobs & Careers editorial team is dedicated to bringing readers everything they need to know about finding and securing a new job. Whether you're looking for help with getting prepared to answer difficult interview questions or if you want ideas on what you should wear to your next interview, you'll find helpful resources here. Tips for first-timers: If you're new to the job market, find out what to do when you go to a professional job interview so that you won't be caught off guard. Preparation: Learn what interview preparation you should do in advance of your appointment so that you make a positive impression. Interview types: Educate yourself about different types of interview settings, including panel and telephone interviews. Questions to expect: Get prepared for typical questions, such as strength and weakness inquiries, as well as behavioral questions. Image and appearance: Find out what kinds of attire is considered proper dress for a job interview so you can select your wardrobe wisely. Practice makes perfect: Discover how completing a few mock job interviews can help you get comfortable and ready to "wow" the interviewer. Follow-up: Learn how you can stand out from other applicants by sending a professional thank you letter to the person who interviewed you. The articles provided here are written and edited by seasoned human resource managers and other experienced professionals who are happy to share the benefits of their vast expertise and knowledge with you. There's no need to stress about your next job interview on your own. Instead, visit LoveToKnow Jobs to brush up on all of the facts and tips that you need to make a positive and lasting impression.